An approachable red wine that offers myriad aromas of red fruits and a warm savoury palate – we suggest it be used as an animator of good company around a long table. 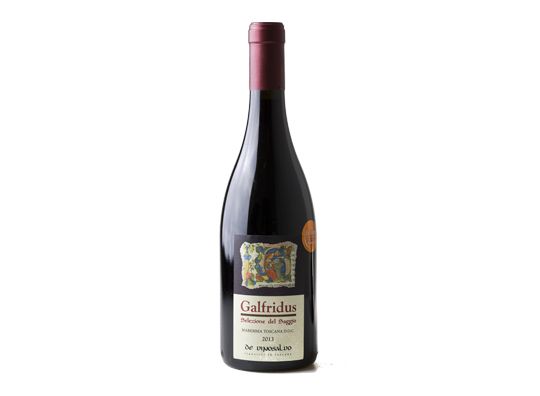 A pure expression of the power of Mediterranean Shiraz: a savoury, tarry, elegant wine, good for drinking with food now but also for mid-term cellaring. Sangiovese-Shiraz blend. A happy marriage of these two varieties – almost on equal terms – and a Beat-ish interpretation of the Montecucco DOC Appellation rules. Whenever the conditions allow it we pick the Shiraz and the Sangiovese for this blend around the same time and co-ferment them – with intriguing results. A wine of consequence, grown-up and refined, borne of vines grown on high-clay soils within the Porrona vineyard.